It’s survey time! I have 10 quick and easy questions for you today and I’d really appreciate you taking the time to answer them. If for some reason you can’t view the survey on this page or it won’t take your responses, you can click here to take the survey on another page. This survey is completely anonymous so feel free to answer honestly. Comments are open if there is anything you’d like to add. Too many projects on the go, lack of focus. thanks for letting me take the survey. I’m sure you’ll share the results of your poll, looking forward to seeing what other people are experiencing. I love your site you have a lot of good information that has helped me along with the WA program but I signed up to get your “The Mind Eraser Method” copy but I never received it. I would like to have the information because I am sure that it will help me the same as your other information has helped me so far. I just dont have enough time, I have so much going on that I cannot put more than an hour a two a day in just does not seem to make enough difference. I agree. I have a contract job. Sometimes I work 2 days a week and sometimes 5. On the days where I get 5 days then I’m playing catch up for about two weeks afterwards. To see any kind of results (even just with generating traffic) you have to drive relentlessly towards the goal of creating an online presence in the form of blogs and articles. But… as soon as you create 5 blogs with links and enthusiastic copy then the response is almost instantaneous! I get a kick out of that every time! Lack of time is my main problem too. I work full-time and when I get home I only have enough energy to work on my internet marketing goals for maybe an hour or two. Then on Saturday, when I always plan to hit it hard, I usually end up sleeping in and enjoying my weekend and not getting much done. As for the people who are successful online having some “secret” that I don’t have…mostly I believe they have systems that work well and they just keep repeating them. I just haven’t figured out what systems work for me yet. I am working right now with squidoo after going through your one week marketing plan. But am struggling with getting traffic from out side of squidoo. I tend to buy one too many courses and then I get side tracked and confused by all the information. The information from each course is good and I feel like I am also learning something new but I think I am getting derailed by too much information and then I just throw my hands up in the air…..What do you suggest, and what works best for you? I just bought another program outside of WA! I have 60 day $ back guarantee but I too do not want to go in too many directions. I just wonder if there is newer thinking to AFM. I must make this work for my family so I have no time to fool around. I think the real support here at WA is fabulous! I have been reading all your information for sometime now. I have watched you grow in your business from early on and you are such a giving person with the success you have achieved, and I Thank You. My biggest problem with learning how to make money online is learning the technical side to just get one thing accomplished due to the directions not being clear enough for me. I do better with video direction with step by step. I so very much want to be self employed. learned how to do this from your instructions. Thanks, Jennifer…..making some more…….Teri. Your interview post on WA was very helpful, perhaps the best information I’ve run across. Your other writing was good too. I suspect you like to write a lot to keep your chops up. I signed up for WA on the $1 offer several months ago but have not really used it yet. I’ve run across good recommendations for WA from diverse places, however. This idea of action, is a little too self-serving for the promoters. Of course they want action. There are so many directions to go in, I prefer to study it for a while. One does not need to know everything, but you do need to know something, or at least an outline or adumbration. By the way, you look great — from your photo. Perhaps it’s your success! This is off the subject, but I’ve been meaning to tell you this for some time. You have an awesome brand name! A while ago I had forgotten your first name, but when I got a mailing from PotPieGirl, I knew instantly who the message was from. I don’t know how you came up with that name, but having spent 30 years in marketing with a Fortune 500 company, I know that large corporations spend millions every year to get the kind of instant recall your trade name provides. Well done! I agree with Sandra above! Too many ongoing projects at once and limited time to see each one through to fruition. Info overload combined with staying with the times on post “Panda”. I need to find one or two good protocols and stick with it/them with confidence that sales will increase over time. Thanks for all of your ideas and continuing to give back to the community! I get good ideas & then feel so overwhelmed by how much work it will take to get it done. Add to that working full time, an 8-year-old with homework every night, housework, etc., and my good intentions of putting in 2 hours a night just don’t seem to happen. Then I get frustrated and angry with myself and we start all over. I think I need to get more organized or something…I’ll never get where I want to go at this pace. To many projects on the go and never have enough time to give any one project the time it deserves. Also I do not know when to drop a project. I bought your original package and could never get anything going for me. I’m not a very good writer. I had a major computer crash with a virus and then my new computer was stolen. Anyway I lost my copies of ‘The Dam Way’ and your program will not let me sign up for them again. They are supposed to be free and I would like to try again to get some affiliate marketing going for me. I have hard copies of your ‘One Week Marketing Action Plan’ which I am now reading. If you could send me a special link to override my having received ‘The Dam Way” before, I would appreciate it. Your system just says that I already subscribed. Thanks, Jennifer. I’ve tried a number of things and have not had good success – a combination of poor results early, shiny object syndrome, too many gurus saying that the *last* thing I read is wrong and I really need to do the opposite, too many options (affiliate, create your own content, website design, mobile marketing, SEO, backlinks, no backlinks, reworked articles, new articles, buying this WSO or that product launch, JVs, blogging, etc.). My gut feeling is that I need to stop everything but one path and do that one until it works, but it’s difficult to decide to put all my eggs in one basket and hope that was the right basket. At this point I desperately need to succeed quickly, so I hope that the one I’ve chosen is the right one! Oh, and the best way to learn to ride a bike is with a push bike, or, if you don’t have one, by taking the pedals off a regular bike and lowering the seat until you can touch the ground still sitting down. That way you learn steering and balance before having to learn pedaling and shifting. Not that I knew that back in 1960…. This is true. I think the best advice from OWM is just to get something out there. I’m also familiar with that scenario that the next person in line always tells you that the last thing you did is no longer valid. Their method is always that sure fire way to success! I think you’re right about choosing one path but, the question is, which one is the right path. I keep thinking I’ll tweak the odd thing here and there because I’ve seen no results as yet, but on the other hand I have to keep reminding myself how short a time I’ve been at this and how much I’ve learnt in that time. When I started I’d had a couple of websites with no traffic at all. Now, thanks to OWM, I know how to drive traffic with the use of blogs and articles. That alone is worth it. I’ve been online five years now and do this full time. I hope my answers don’t mess up your survey. I am probably not typical in this case. It’s been a long time Jennifer, I’ve been promoting your site to few of my friends and they found your site help them a lot and I’ve been busy myself making money and promoting my own online business program that I’ve joined and continuing since 2010. I have been earning a decent amount with several ups and downs doing projects from freelancing websites for last couple of years. But, they are deadline oriented work and the income flow depends on your daily work. I am still far away from earning from my own website using Internet Marketing. I like the concept of Passive income and want to go with it, but lack of proper planning is a main obstacle. In spite of having sound knowledge and experience Web content development, SEO, Keyword research,Web Development and Designing, I get really confused as far as starting my own online venture is concerned. Sure any time! Long tail keywords are real GEM for SEO.thanks. You sound like an interesting person to chat to. How can I contact you – maybe IM somewhere if you’re on FB or Google? hey Julian, just seen you site and got your contact email. I will surely send you a mail from mine. Your site is refreshing. thanks. Lots of reasons why I don’t succeed. Mostly within myself. I do complete trainings but then something blocks – like I don’t really know how to get a website going, or my article is not accepted, or I am not happy with my product. I think my blocks lie mostly in my subconscious mind – I am busy with Marie Sheldon work trying to identify those blocks! I have abundance in many aspects of my life, but not with money! I jokingly say that I need a personal trainer – telling me what to do from moment to moment – especially when I get stuck! I find internte marketing extremely interesting and challenging, with lots of potential! Apart from earning enough money I can see how I could benefit in many other aspects of my life. This is a good point! Working online is fun. Even though I’ve yet to see results I enjoy what I’m doing online and see it almost as a hobby – though I could do with earning a bit of money from it. It’s funny how there seems to be so many people who are persisting and waiting for success. I’d rather do it this way than with some of the contact list schemes that are about creating a video extolling the merits of a scheme and funneling people through to someone higher up the chain. That seems to be a form of pyramid selling and I’m not into that at all. OWM is very creative and I love it for that. I have been following you for the past 2 or 2 1/2 years, found you on WA. I have the ‘One Week Marketing Action Plan’ and ‘The Dam Way”. I was a member of “Power 3 Marketing Elite”. I am a retired Realtor and work on the internet everyday for almost 3 years now!!! I have just started a new blog focusing on smaller niches. Not sure why I just can’t seem to make it work. Maybe too many shinny things! However, I will succeed or die trying. Thank you for being honest and above board. Your programs are awesome and your advice I know is spot on. I hope by taking your survey in some small way I have helped you. Thank you! I just completed your survey, Jennifer, and am hoping you will release your findings for your subscribers. It would make interesting reading. I’ve just turned 61, and have been dabbling with affiliate marketing for just over a year. Technical knowledge has been my main stumbling block, a close second is information overload. A big mistake was sitting back after eventually getting my first site up, so that with my second effort I feel like I’m starting from scratch. The lesson I’ve learned is more doing and less reading, except for your blog, of course. I’ve been playing around with this since I was 61. I’m nearly 67 now and still not earning more than I spend…….. but my mistake is so common maybe you can fight it right now……. Pick one system to earn on line, get your product/site/earner up on line and then work at building traffic. Track it, tweak it, try to improve, identify its weaknesses and strengths and then, after all that experience, build a second version to improve conversions/sales. DON’T just flit off to something new because it seems more exciting! Learn from my mistakes and then when I’m 68 and you’re a mere 62 we can meet for a beer and have a natter about how we’ve cracked it!! It is amazing how much congruency exist throughout the above submissions! One is continually exhorted to find a “mission” and the go for it! I bought the OWN system about two weeks ago. This internet marketing thing is very new to me. I think I understand the concepts but I’m a little disappointed that several of the links don’t work or don’t exist anymore, and some info is outdated. I don’t know if the system will work anyway, but I think those things should be corrected. I also don’t understand how I can write several unique articles on a subject when I feel like after I’ve done one article I’ve said everything I needed to say. I really need someone to help me with that. I need to be able to do this totally free because I’ve been unemployed for two years and really have NO money to spend. Couldn’t have said it better my self! This is SO true. When I mentioned it to the support team they got extremely defensive. I was just told that it was impossible to update and the system worked. Hm…. I think it probably does work with perseverance (I’ve yet to have any results) but it’s very frustrating to have to keep tweaking things to adapt to the current online landscape. I’ve ended up making my own list of directories for articles and blogs. Another frustrating thing about this is that when you get study materials, bought or free, most of them are pumping some other product. I’ve had this experience with WordTracker in particular. They advertise an eBook and then you find that all the material is about a product you have to subscribe to on a monthly basis. The articles issue is an interesting point. Maybe your focus is too broad. If you can make several lenses about a product then you should be able to write an article about each lens, I think. Narrow the focus? Once you’ve written the opening “what my article’s about” paragraph, the final “what my article was about” and your call to action in the bio box, there’s not much left to write for a 400 word article. I know what you mean about doing it totally free. I’m working on that one too! Good luck! That is awesome….thank you Jennifer. Hooray – I can then get back into it with more of a positive attitude!! No updates as yet… =( It would be great to have some new ideas because the ones in the original OWM almost all need tweaking to a certain extent, particularly ping sites, article sites and some blogs. I purchased OWM sometime in September last year, made my first campaign the same month and had my first sale ever in October. I followed the instructions in the guide but had to find my own resources (advert blogs etc) because the ones mentioned in the guide aren’t available anymore. But it wasn’t a big problem for me. I enjoyed the process of learning and finding out things for myself like backlinking strategy, keyword research etc and OWM is my starting point. I made my 2nd campaign last month and I’ve made 6 sales since October last year. I’m getting better at it in terms of writing articles, researching keywords etc etc…I’ve been dabbling in OM since 2009 but never succeeded. I’m a mom and hardly have free time to do all this but I believe the willingness to learn, focus on the plan at hand (OWM) and perseverance do pay off in the end. I’m a non native English speaker and I have to do things extra harder because of language barrier. Still I made my sales. Thank you Jennifer. Your blog and OWM meant so much to me. Yes, please let us know about the updates! Just a quick point about the articles and blogs. I don’t know if you do this but when you check on squidoo to see where your traffic has come from you can see the search terms people have put in if it came through a search engine. That’s handy for giving you new ideas for an article. Particularly because you know people have now looked for that exact thing. Chances are if they’ve looked for it then somebody else will too! Makes it more difficult when you’re on the other side of the world. Different directory sites, no great choice of article directories for local stuff etc. there is going to be more than one answer for some of the questions you asked so the survey is not really very accurate per person. For me, One Week Marketing has turned into more like Three Week Marketing, there is no way that “I” could complete all those tasks on a daily basis, It took me almost two weeks alone to get all the lenses created and then the articles to follow them. On the flip side of that, I already have my own website, and I have written 120+ articles linked to that website, but I receive minimal traffic and have only made one sale in three months. I have worked my a** off, and I feel as if i’m shooting blindly in the dark, even though I follow what I have learned at both Wealthy Affiliate and OWM. I use street articles and ezine articles as my directories, I do well with my articles getting published at street articles, but I have an extremely low CTR (around 1.30%), and at ezine aritcles, there’s always some nitpicking reason as to why about half of my articles get rejected. Maybe if I could see a glimpse of hope I would be inclined to keep working hard, but I feel as if I’m running out of gas and am on the verge of focusing my energy elsewhere. I believe that internet marketing works, but will it take 3 years for it to do so? If it does, then that’s cool, and i’ll focus my timeline on the three year mark. But unless something changes drastically within the next few months (which it could) I just can’t see how my life will be changed in a year from doing all this. Either way, I won’t give up and i’ll keep pushing, but I’m praying that my desire to keep pushing is not in vain. I’m tired of people looking at me crazy when I tell them that I have articles to write… Thanks for reading and listening. I hear exactly where you’re coming from. It’s actually quite reassuring to hear other people with similar experiences and obstacles. It takes me a long time to produce the lenses, articles and blogs but I keep hoping that it will get easier with time. I’ve learnt that things don’t need to be perfect. My lenses are now a lot more skeletal than they were to begin with and I leave most of my meat for the articles. Even the articles aren’t long. Well, like you, I’ll keep going to see what happens. Good luck to you! I’m a’ready a subscriber. Would it be possible for me to get the “Mind Eraser Method,” anyway? Thank you. I think that my major problem is that I tend to go from one “latest greatest best thing” to another. and tend to take in a lot of the hype that`s out there. Need to stay focussed and concentrate on one thing feel but it is hard when one is bombarded on a daily basis with so many progrmas and products. Thank you Jennifer and all the best :-). Thanks for the survey and I hope there some progress about the result you collect from us. I’ve been follow your blog even I haven’t bougth your product. I love a free stuff and according to your article that everything we need is already provide out there, depend on us if we want to find it. What I want to share here is, Just doing some movement even if that just write article to your blog and never got visitors. it just matter of time where you will find the crak how to get them. I also learn from street article blog owner by kyle from wealthyaffiliate because I can reach the price of their membership. What I can say here is, even just from that blog I learn and now doing some action. 1 action perday, it equal 30 action per month and that could mean much for my blog. But if you don’t mind just visit my blog and give me some advice what should I have to change with. One of my article abouth health! Well, I answered the questions but there is no Submit Button. There is a Box with no image that says “Simply Your Taxes and Bookeeping – Shoeboxed.com”. Is that your submit button? I’ve made a little money but need to stick to a specific plan of action. Many good internet marketers offer plans but have had less success than I had hoped for. Too many people promoting their methods which may work for them but seems like few others (maybe leaving just a little bit out). Money is another factor as a person could spend hundreds each month implementing different strategies. Jennifer, you’re one of the few interneters I respect and trust. I’ve never had success with your stuff but I like it. I find internet marketing an arena for self-discipline. When I succeed with my discipline I will start making money. It’s all about traffic. 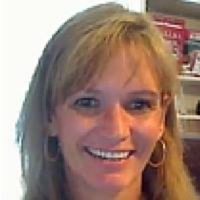 Jennifer, thank you for your interest and willingness to help others. Always glad to help you out because you’ve helped a lot of us. I’m still not making enough money to live on, but certainly more than I use to make… I’ll keep working at it! By the way, Jennifer, I also applied for your Mind Eraser Method and I never received it. I’m guessing that I didn’t get it because I was already on your email list. Could you please send me a copy? The key to making money online is to find something you actually LIKE to talk about or promote and to stick with it. You also need to know how and where to market your website. And if your website isn’t worth marketing, then you need to create one that is. I am not sure I agree with the person above me. It is awesome when you can find a niche you like to talk about, but in my case most of my interests aren’t in very profitable niches. I have dozens of websites, and the ones that make the most money are in niches that I could care less about. Lately, I’ve found that backlinking is a problem because a lot of backlinking strategies I used to use don’t seem to be quite as effective anymore. I have found it helps to offer a solution to a problem and make lots of information available. The best way to make money on line, I believe is to give away a lot of free stuff in the way of valuable information. My website is on blogger and it is extremely ugly and unprofessional, as I do not have a clue what I’m doing on line, but it is making some money every month. Me- being a internet cave man does not help, but the information I provide helps solve a major problem in a small niche. I am trying to learn as much as possible to improve it. Great survey – just about question 10 – I didn’t answer it because none applied. Question 10?? I only saw 4 questions?? but no joy there either.I don’t seem to have mastered the art of getting ranked. Just have to keep learning. Interesting Survey though,I notice 1or2 questions designed to make one uneasy if answered truthfully. Well done. Regards. Joe. there is no submit button for the survey – where is it? Number 10: None of the above. My dad got me a bike that was too big for a beginner and had me keep trying until I got it. There was no way he was going to hold the bike for me. It was all over dirt and grass-sometimes wet from rain-so at least I wasn’t landing on hard concrete. Just a very large yard in a small town with more trees than anything. I eventually got good at it. Just lots of time trying on my own. Filled the survey but not sure that you’ll get it as there is no submit button on it. I find that it is hard for me to stay focused on one thing at a time, I will start out with a good niche and I will write enough articles for the backlinks and traffic but then I get side-tracked with a new idea or new topic that gets my attention and then before I know it the first niche is lost in translation and I have all these projects in the beginning stages but nothing has reached completion. I think I will need to just concentrate on one thing at a time but in reality I get bored with one thing after doing it for several months. Is there a solution to this? Can I be a multi-tasker in multiple interests and still make money? or will this just lead to me not seeing the results I want? Isn’t that what OWM is all about? Each seven day cycle you move to a new project. I agree, though, that I’m tempted to spend more time on certain campaigns because it does seem that as soon as you move to a new project there’s no passive income owing to the fact that traffic drops off once I stop writing articles! took the survey. Are you launching a new product? Why are you still looking for new product? Aren’t you find any single service/product that work? You won’t succeed in IM business if you always looking for new product! Just stick with a service or product that you have and implement it action. I have too many PLANS, too much software and too much confusion! It’s all so darned interesting that my self control goes out of the window and I never seem to drive a plan to an earning conclusion. I think you are overloaded of information and get victim by those “guru” promotion. Haha – no rudeness intended here but I laughed at the list you supplied because of course i’ve got all that and 40 times more!! Although I don’t like GoDaddy (use NameCheap), and I much prefer D9 Hosting to Hostgator. I have about 7 Keyword Research Tools, that match a range of different tasks, + Micro Niche Finder and Market Samurai. I have been an IM Hobbyist for about 7 years, and a “collector” of software and “methods/systems”. So I have about 80 domains and about 35 partially or completely built web sites but with no coherent plan to control them centrally, update them properly, or monetze them effectively. They are a hotchpotch of many Niches and partial attempts at a wide range of earning methods. No-one else need kick me, I’m busy trying to kick myself – but it’s going to be my Amazon drive that first sees me break through into that positive ROI………. Oh Yes It Is!!! Good Luck everyone – FOCUS! The difficulty for me (and many, many others I believe) lies in trying to ignore being INTERESTED in a wide range of earning/marketing methods – and just focussing on one earning method until it succeeds. There is easily enough information available on almost any method one might choose to enable anyone to make it pay……. given some hard work to set it up, some dedication, and some common sense and adaptability in tracking/tweaking and improving it. BUT – FOCUS on that one project is essential, which is why so many of us fail!! I’ve decided that I am going to stick to using my longstanding Associate Memberships in US and UK Amazon to provide my first long term success. In the past I have made $800 in a few days – using just PPC and Affiliate Ads – but it was very hit and miss and it cost me more than that for the software and ads, so I have never yet achieved a positive ROI. Has anybody noticed a fall off in the process of getting pages ranked using OWM? The first few weeks the system worked no problem at all. By day 3 my squidoo pages were coming up on the first page of google. Now, however, I follow the steps to the letter and my pages just don’t get ranked… at all… even with pings, articles and blogs. Naturally there’s a drop off in traffic too. I’m just wondering if anybody else is experiencing this? This internet marketing stuff can drive you crazy… It seems as if you do lots of work with no initial reward, but if you keep working and working and working, somethings bound to happen. I guess we all have to wait until that something happens, and keep working until it does. Thanks for showing this survey, its great! Are you currently earning money from internet marketing? Yes (sort of). I just made my first $1.96 in affiliate commissions! Woohoo! Jennifer, this is one of the best-designed surveys I have encountered. It is part of a consistent trail of evidence that persuades me of your sincerity and professionalism. Impressive and well-done. I need to define a Vision that is worthy of me and those who will be best served by my choices. I have a deep and sincere desire to improve the quality of others’ lives. Narrowing down the context of this desire has proven difficult. Once done, niche selection should be a breeze; but, I have been long ‘stuck’ on the Vision/Passion/Purpose determination. One more comment and then I’m off to FOCUS!! Still, it made sense anyway I believe so the message is still there. Jennifer’s DAM method is one simple system that CAN work, and OWM with Lenses and other added boosts like Hub Pages and Blogspots etc (+ that all important Social Bookmarking) is another that she evidently does succeed with – but after all my experimenting I have found that I like selling Physical Products and I’d like to write an Ezine and an informative Blog. So I’ve chosen the first of those and AMAZON as my priority route because I already have so much useful software, and domains, to support what is for me the most enjoyable form of marketing. I’m pretty much with Terry Werner. Among other things, I worked very diligently on Squidoo for a period of time. Received LOTD & a purple star for my efforts. My articles were featured on the front of Good Veg, all of which is great and I appreciate the acknowledgement BUT I’m not in this for the accolades. Like Terry Werner, I’m finding it difficult to attract an audience outside of Squidoo. I’ve done keyword research, followed up on all the recommended methods of creating links, etc. and my stuff still doesn’t reach outside the Squidoo community. I’ve pretty much given up on the project. In all honesty, I feel Squidoo has been a complete waste of my time, talent & energy! I look forward to reading the results of this survey. Thank you for your help, Jennifer. I had no experience on a computer or any online marketing and it’s rather slow going trying to learn both projects that are dependent on each other. However, with your program that I purchased and being a student at WA has helped me tremendously. You made me realize I’m not too old to learn. I’m just slow to learn. Body parts wear out!! Facy that. Had I only known. you forgot “training wheels” for a bike answer!